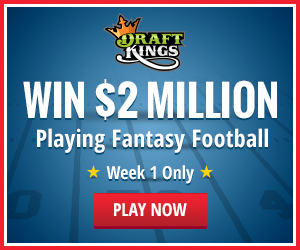 Home » Daily Football » Early Week 5 FanDuel Lineup: The LeDoobie Brothers are Back Together! Obviously, I think Vegas is underselling once again – but which games will go over 50 points!?! That’s the big question! Both Jay Cutler (at KC) and Marcus Mariota (vs. BUF) are interesting, but I think they’re just too risky for 50/50s. With Manning, he faces a bad defense that ranks among the bottom 10 vs. QBs I also like Brandon Weeden at home against the Patriots. The Cowboys are allowing the third-most rushing touchdowns to RBs this season, and Blount is coming off a bye. This game leans more toward a Blount game than it does Dion Lewis’ Shane Vereen style. I also gave a long look at rookie Todd Gurley, but he’s up against a good Packers defense. How does NFL do this? They schedule a Thursday night game for a team, then have them go on Monday Night Football 11 days later? Too much of an advantage. Bell is the best running back in the game, and the Chargers are second-worst against RBs this season. I was thinking about Jeremy Maclin here because the Bears defense is allowing two touchdown catches to WRs per game. While the Chiefs still aren’t a great passing offense for wideouts, they are improved. He’s still cheap after a big game this past weekend, when the Colts used Vontae Davis to shadow Allen Robinson, but I like Hurns to continue his success this week against a questionable Bucs secondary. This is a great play, but really only if Alshon Jeffery’s still out with a bad hamstring. The Chiefs defense is the worst against WRs, allowing 2.5 TDs per game to wide receivers this year. Gronk is back! The Cowboys have yet to allow a TD pass to TEs – but Gronk is coming off a bye. Plus, the tight ends that Dallas has faced aren’t exactly world beaters: Larry Donnell, Zach Ertz and tight ends from New Orleans and Atlanta. Vegas likes this game to be the third-highest-scoring game of the week. 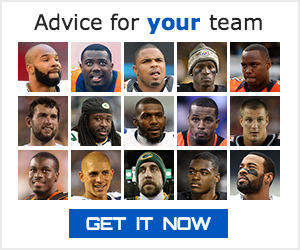 Also, check out my recent article on FanDuel Insider that discusses the values of kickers from last year. I pinpoint the best spot to get the best values! The Titans are coming off a bye, but this team is still figuring things out, and Rex Ryan’s defense should do well against Mariota and Co.
Tweet me @DavidGonos and let me know what your early Week 5 FanDuel lineups look like!